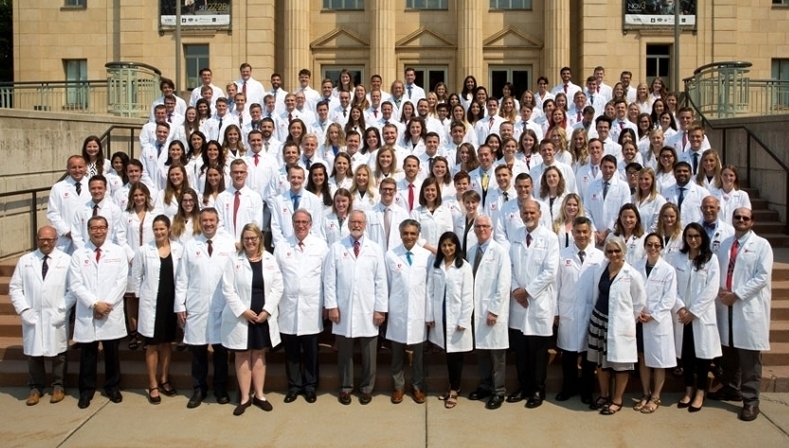 As the University of Utah’s newest class of medical students embark on a lifelong pursuit of caring for others, they receive their first white coat as an abiding symbol of the commitment and responsibility to their patients, peers and colleagues, and—perhaps most importantly—themselves. This year University of Utah Health welcomes an incoming medical school class of 127 students (64 women and 63 men), selected from a record number of applicants, more than 4,000. At the white coat ceremony, the class is officially welcomed into the medical community. This initiation highlights the student-physicians’ professional obligations, setting them on a path that always seeks to balance compassion with scientific excellence. Cloaked in a pristine white coats, they recite the Hippocratic Oath, making a solemn promise to themselves and those who will be in their care. Jain urged the students to have a plan for how to juggle the “three marriages” in their life: marriage to family, school and work, and self. All too often, Jain cautioned, the marriage to self takes a back seat and things can start to break down. To illustrate his point, Jain shared the story of how he suffered a massive heart attack seven years ago. This brush with death was a powerful realization: if he wanted to continue healing others, he needed a plan to protect his physical, emotional, mental, and spiritual well-being. Universtiy of Utah School of Medicine Class of 2022. Jain persisted through a long, grueling recovery. Today, he continues with four to five hours of vigorous physical cardiac rehabilitation each week, without compromise. As difficult as the physical rehabilitation has been, Jain said the mental and emotional recovery is harder. To monitor his breathing and his thoughts continually, he takes time to meditate. And his family and friends provide essential support and stability. As part of their personal wellness plan, Jain advised the student-physicians to have at least one good friend they can turn to during their most difficult moments—who will simply listen, not offer advice, unconditionally. Is the work I do joyful? Is the work I do meaningful? Do I have the right skills to do my work? Do I have the strength and resilience to do my work? Depending on the answers, adjustments to the personal wellness plan may be necessary. Jain concluded his address to the medical school class of 2022 with a caution not to seek joy from external sources like money or accolades. Rather, the true source of enduring joy will always be found internally. Jain’s message about self-care and well-being resonated with everyone in the audience. For faculty entrusted with the education and training of these aspiring physicians, it was a reminder that everyone should be mindful of self-care to be better mentors and contribute to a supportive learning environment where every student can thrive. Like plane emergency routines remind us, by securing our own oxygen masks first, we’ll be able to put a mask on students when they are struggling or falling behind. We are fortunate to have a number of wellness and resiliency resources on the U campus, including Wellness and Integrative Health, the Resiliency Center, and the Center for Student Wellness. 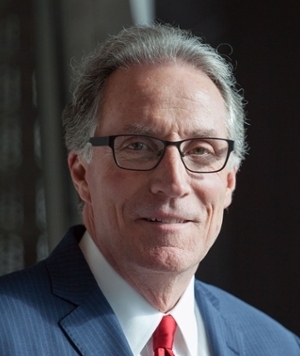 Guest blogger Wayne Samuelson is a professor of clinical medicine in the Department of Internal Medicine, Division of Respiratory, Critical Care and Occupational Pulmonary Medicine, and the Vice Dean for Education at the University of Utah School of Medicine.